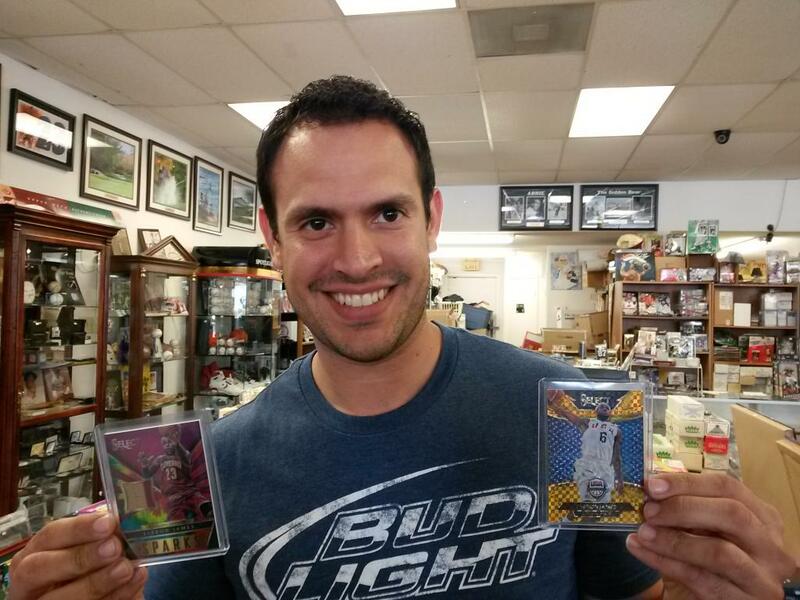 At Sports Cards Plus you always get more. Just like other group breaks, you get ALL the cards for your randomly assigned team from the break. Here is where our breaks give you more. A. Ten tickets say, "Get your next Group Break Spot FREE." B. One tickets says, "You have one of ten entries to our $1000.00 Drawing. Plus you get your next Group Break Spot FREE. C. All tickets get you a $100.00 Entry to our $500.00 Quarterly Drawing. 2. When a "Get your next Group Break Spot FREE" ticket is pulled it is not put back in the box. A maximum of 10 Free Spots awarded per Group Break. So buy you group break spot TODAY to get best odds for a FREE SPOT. 3. When a "Win $1000.00 Entry" is pulled it is put back in the box for the next person to try. Once ten $1000 Entries are pulled, we will hold the $1000.00 Drawing and a winner will be declared. Tuesday - 2014 National Treasures Football $59.95 per spot (4 Box Case - Random Team). Thursday - 2014 Spectra Football $59.95 per spot (8 Box Case - Random Team). Saturday - ??? Taking requests. 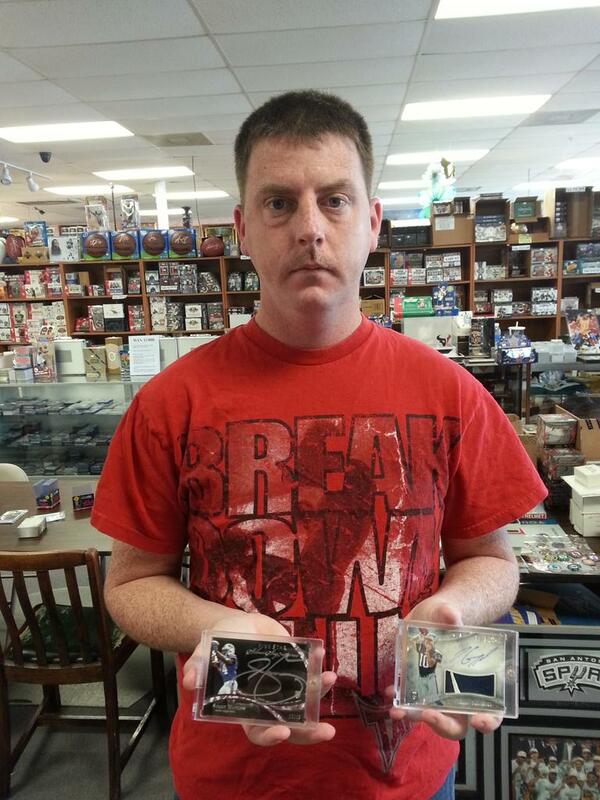 Josh drove from Corpus Christi to pull his Super Hits. 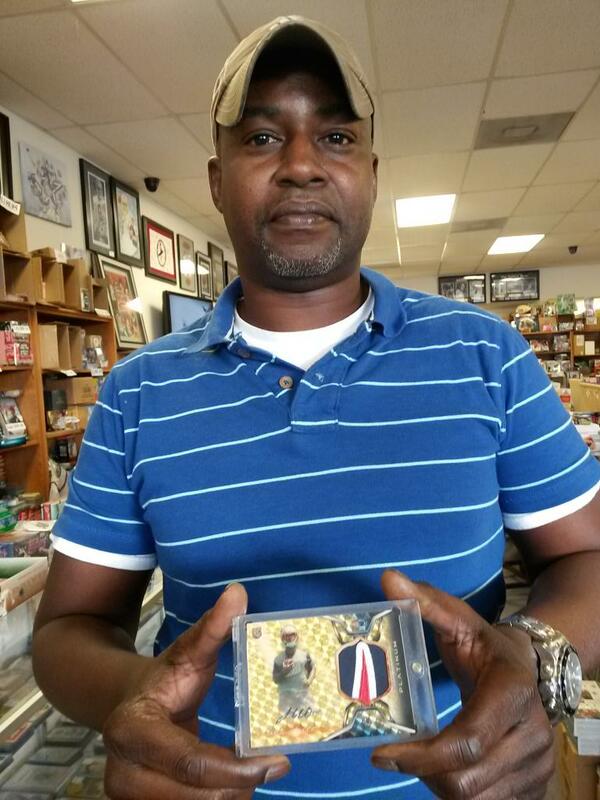 Here is Josh with his 2013-14 Exquisite Lebron James Dual Autographed Booklet and 2014 National Treasures Jadeveon Clowney RPS Auto Jersey Patch RC #d/99. 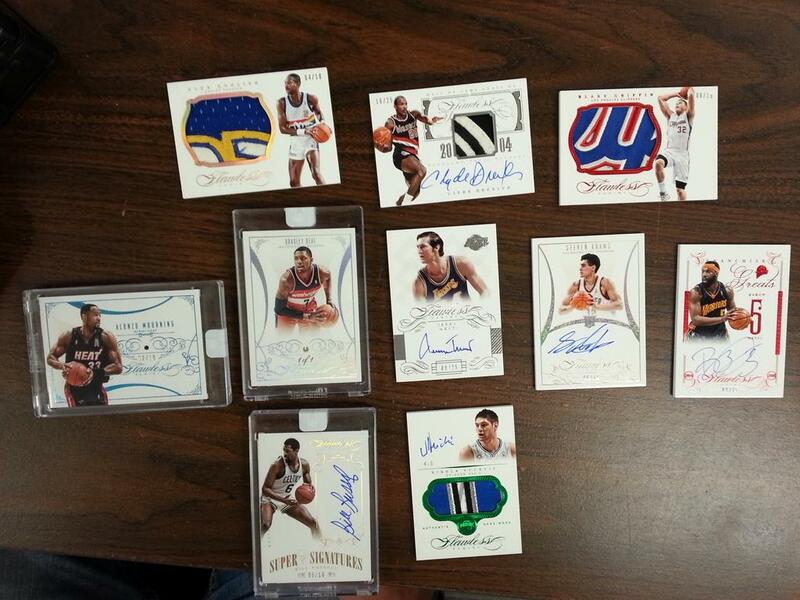 Here are some of the Super Hits pulled this week at Sports Cards Plus, a.k.a. The Super Hit Factory.